Gents, We Have Your Corner. While neither of us has managed to blog in a while there has been a good reason for it. Between a marvelously busy holiday season, working with a fantastic company to rebuild our website, revamping the men’s section and selection, and building a new work room there has hardly been time for a day off. 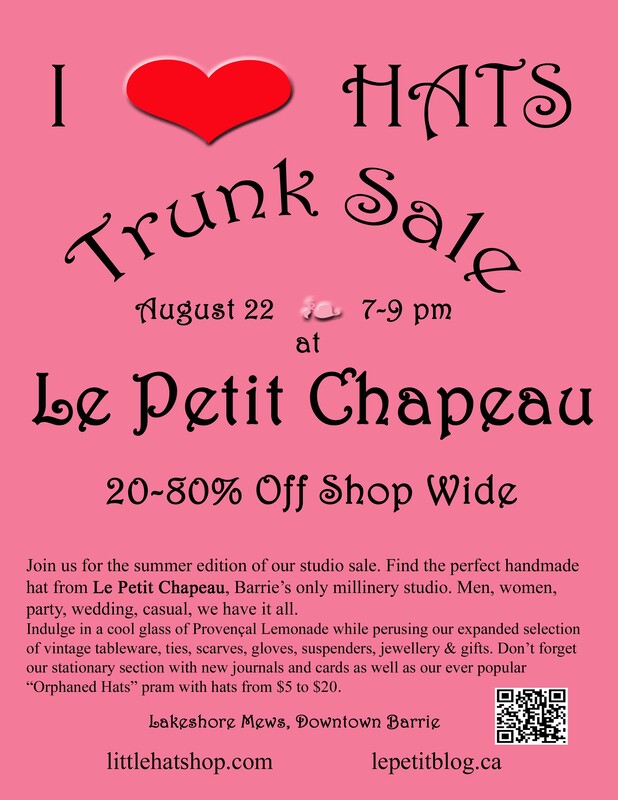 Don’t forget that our “I Heart Hats” trunk sale is coming up. This year it will be Thursday February 13. There will be french hot chocolate, 20% to 80% off everything in store and the orphan hats pram containing lonely lovely hats just waiting for you to take them home. We hope to see you there! 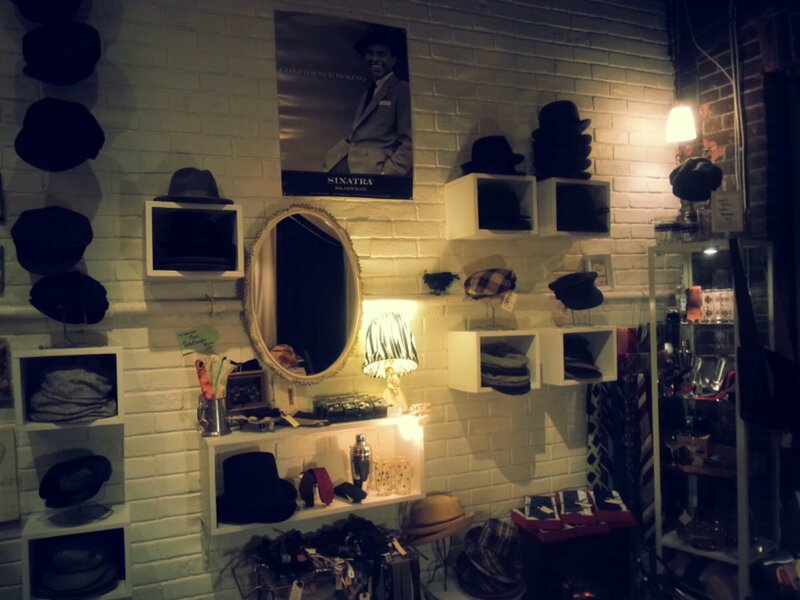 Posted in Card Catalogue, I Heart Hats, In The Shop and tagged Le Petit Chapeau, men's hats, New, women's hats. Bookmark the permalink. 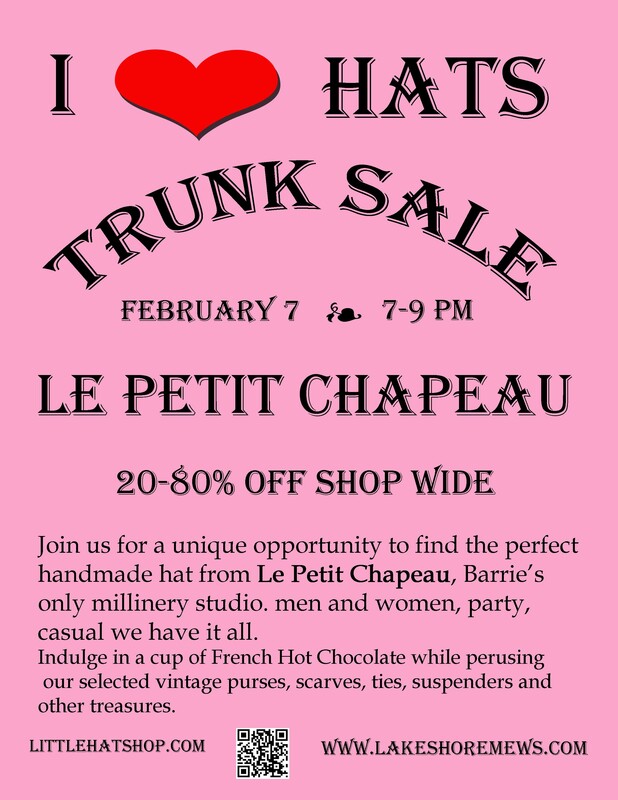 We are having a super ‘trunk sale’ at the hat shop on Thursday, February 7th from 7P.M. until 9P.M. in Barrie Ontario, Canada. For directions please visit littlehatshop.com and scroll to the bottom of the page. 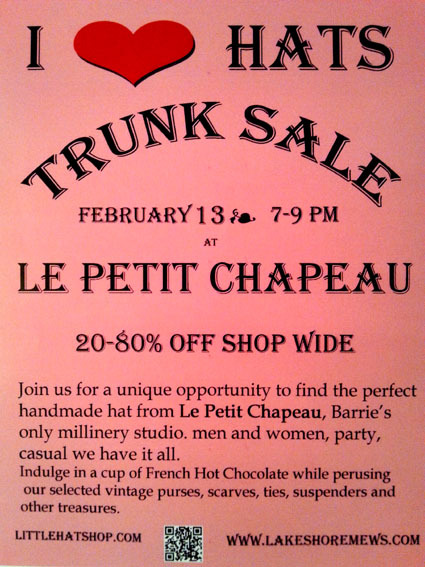 We will be wearing hats, selling hats, serving French hot chocolate and having a gay old-time. Please come and join us. 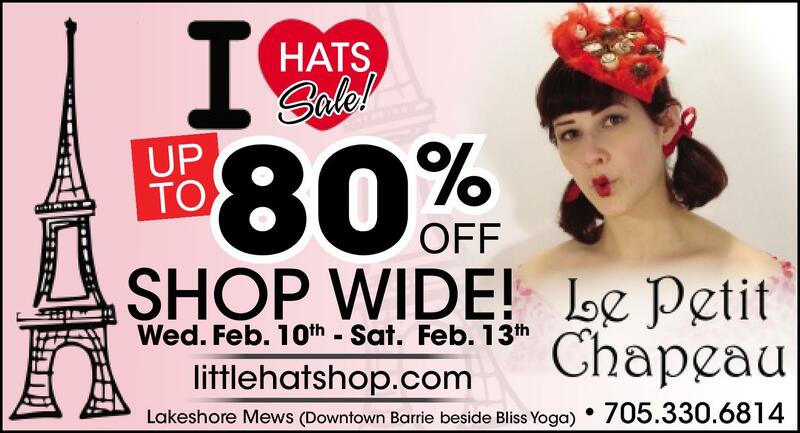 Posted in I Heart Hats, In The Shop and tagged French Hot Chocolate, Hats, Le Petit Chapeau, Sale, Trunk Sale. Bookmark the permalink.